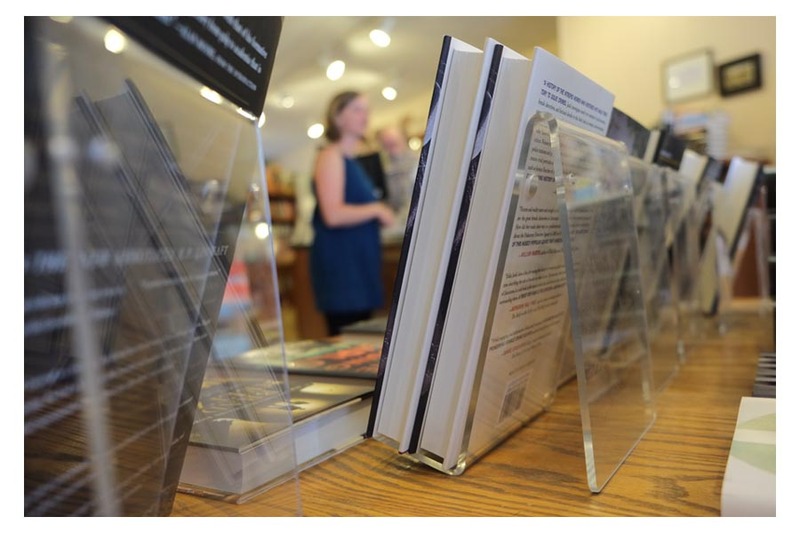 Bookstores, videostores, gift shops and other retail locations that stock books, periodicals, DVDs and various media need ways to maximize their space and display their materials in a way that's accessible and appealing to their customers. Our wide selection of countertop stands, racks and spinners offer the perfect solution to elegantly organizing your print literature with a minimal footprint. We make these displays in the US out of high-quality polished clear acrylic or sustainable Baltic birch plywood. Their clean, understated designs allow your products to shine and catch the attention of your customers. Most are in stock and ready to ship.